My kids are SO into stars, the galaxy, and outer space in general. So, when we saw a glow in the dark constellation mobile linked up in last week's Share It Saturday, we had to feature it. 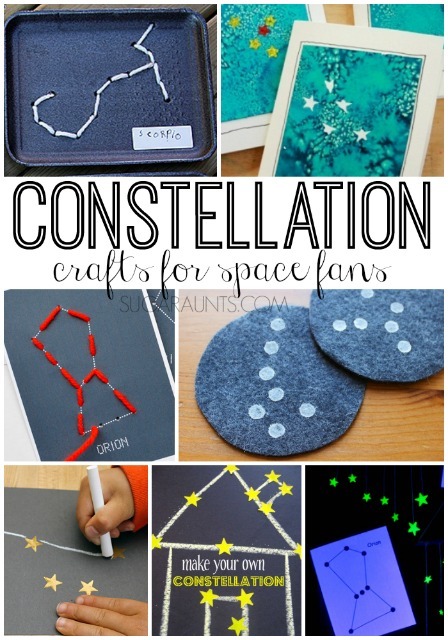 We searched the internet for the best Constellation Crafts out there. This collection of crafts will definitely come in handy this summer as we search the skies for constellations and then make all kinds of constellation crafts! If you've got a little space fan, be sure to check out our Outer Space theme learning and play activities for crafts, activities, snacks, movement, and sensory fun.